A morning hike before the sun gets too hot is the perfect hangover cure to clear your head. 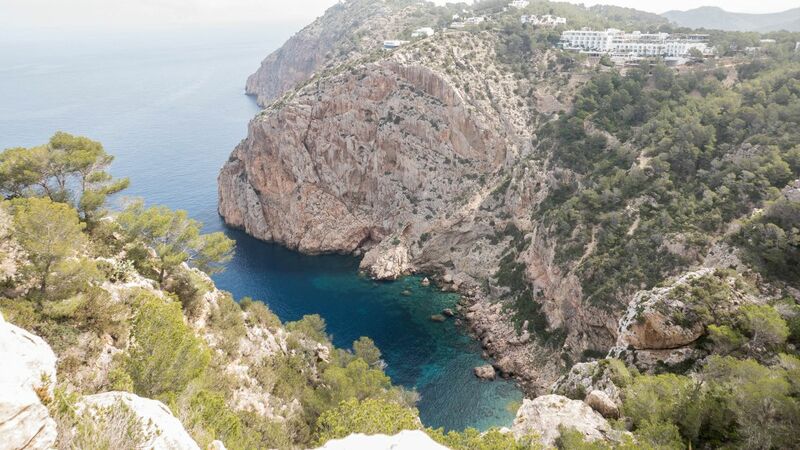 So, after a night of drinking free Champagne at the Ushuaïa ÏU Mag launch, I joined the donation based Walking Ibiza ‘Short and Sweet’ two hour long walk from Isla Blanca in the north of the island on an overcast Wednesday morning. It owes its name to the fact that there’s tea and homemade cake at the end, a very nice touch. I caught up with tour leader Sheila from Walking Ibiza, who is founder Toby’s mother, at the meeting point and she introduced me to a few of the other walkers, some new and some regulars. Toby started organising group tours after walking the entire coast of the island in 11 days with just €1 relying on generous donations of food and drink from locals and now runs tours around the island and shorter trips on a regular basis. We started walking at a moderate pace and got to experience some incredible unobstructed views when the clouds dispersed as we reached the coast. While we walked along we also learned about Ibiza’s history, the local herbs and even about some of the celebrity homes on the island…lots of insider knowledge, but my lips are sealed. 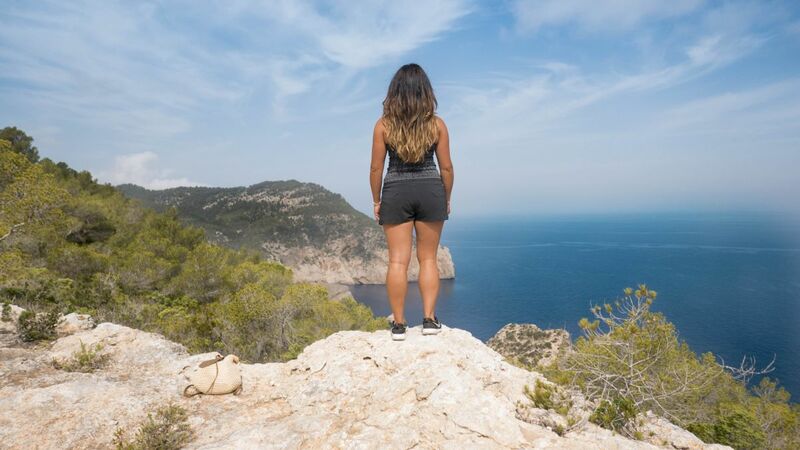 It’s the perfect antidote to a heavy night on the party scene and a refreshing non-boozy activity which is easier to come by than you might think (read my Surf Lounge Ibiza post here). I found it really interesting to talk to people who’ve moved to Ibiza and hear their stories about life on the island. But be warned – this may make you want to shut up shop and move out there! 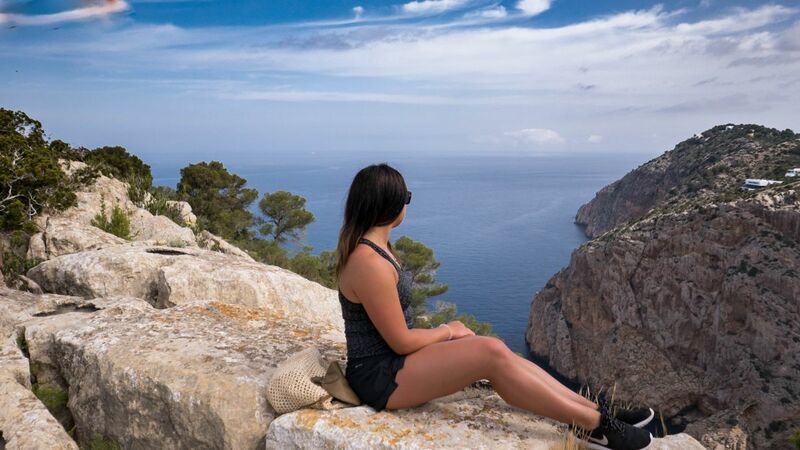 Walking Ibiza also run kayaking trips and are about to launch their food tours which will bring you to 8-10 stops around the city of Ibiza sampling typical Ibizan and Spanish local delicacies, I’ll defo be back to try that one out! If you’re looking for more things to do in Ibiza check out this post about one of my favourite places to eat on the island and this one if you want to stay where all the stars have been.